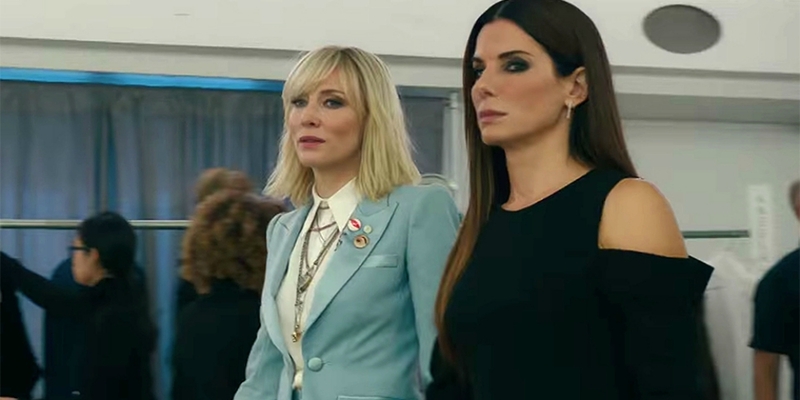 The first official trailer for the female reboot of Ocean’s 8 came out today. 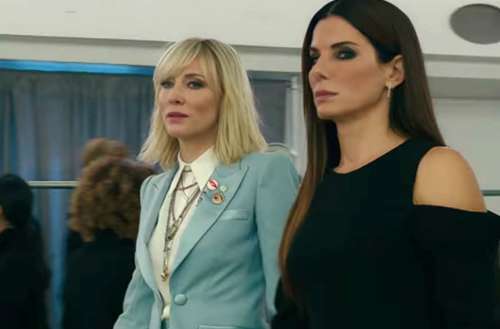 The Ocean’s 8 trailer features Sandra Bullock and Cate Blanchett assembling their all-star crew of jewel thieves, including Rihanna, Mindy Kaling, Sarah Paulson, Anne Hathaway and Awkwafina. The film — directed by Gary Ross, written by Ross and Olivia Milch, and produced by George Clooney and Steven Soderbergh — is both a sequel and spinoff of the Ocean’s trilogy. Bullock plays Debbie Ocean, sister of Clooney’s Danny from the Ocean’s trilogy, who gathers a crew to attempt an impossible heist at New York City’s yearly Met Gala. The tagline for the film: Every con has its pros. “Why do you have to do this?” Blanchett’s character asks Bullock’s Ocean. “Because it’s what I’m good at,” Ocean responds. Others joining the star-studded film include James Corden, Dakota Fanning and Olivia Munn. Cameos are expected from Kim Kardashian West, Kendall Jenner, Kylie Jenner, Katie Holmes, Anna Wintour, Matt Damon, Carl Reiner, Serena Williams, Zac Posen and Alexander Wang. We’re super excited to see this group of women together on screen, especially with such great roles for Rihanna, Paulson and Kaling. Ocean’s 8 will be released in theaters on June, 8, 2018.